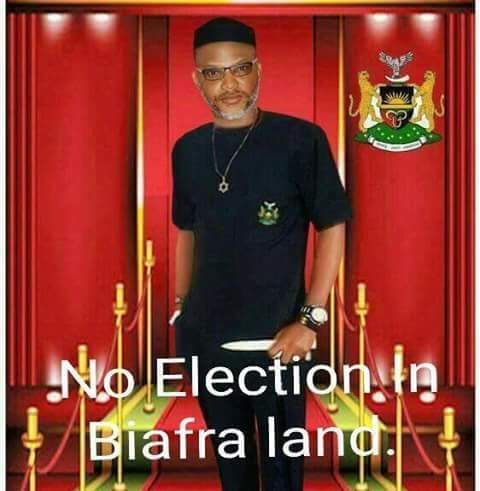 We write on the instructions of Mazi Nnamdi Kanu (hereafter: our Client). Our Client is the leader of Indigenous People of Biafra (IPOB) and we have his instruction to petition your office with respect to the above-referenced matter. It is also his instruction that this Petition be published widely. (c) setting up or pursuing acts of terrorism, the judge in Chambers may on an application made by the Attorney General, National Security Adviser or Inspector General of Police on the approval of the President; declare any entity to be a proscribed organization and the notice should be published in official gazette. (2) An order made under sub-section (1) of this section shall be published in the official gazette, in two National newspapers and at such other places as the judge in Chambers may determine". As is clear from above, the statutory provisions are unambiguous and explicit. Let it also be clear that the foregoing provisions constitute the sole and entire statutory path through which an entity, such as IPOB, can legally be declared a terrorist or proscribed organization under the extant statute. And to be sure, the procedure for making such 'Declaration' strictly and exclusively requires judicial intervention, not the martial orders of the Nigerian Armed Forces, that also does not possess such powers under the Armed Forces Act. Consequently, it is our position that this 'Declaration' cannot stand in law. 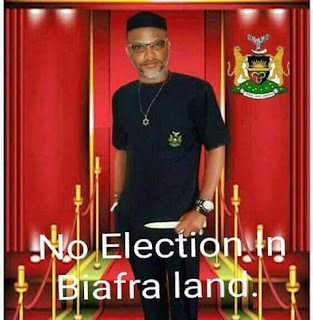 On March 1, 2017 a Federal High Court in Abuja, per Justice Binta Nyako, struck out the charges of "terrorism, management of unlawful organization and intention to manufacture Improvised Explosive Devices planned to be used against Nigerian security agents", which were instituted by your office against our Client in his extant capacity as the leader of Indigenous People of Biafra. The judge ruled that 'the proof of evidence failed to show that IPOB was indeed an unlawful organization'; and that 'the prosecution failed to show that IPOB is a proscribed organization or that it was not registered either in Nigeria or United Kingdom'. A plain reading of the foregoing ruling will show that not only did the court find that IPOB is not a terrorist/proscribed organization, it also disposed of any allegation that our Client or any of the alleged 'confederates' committed acts amounting to terrorism. It is noteworthy, therefore, that the acts alleged as grounds for making the said 'Declaration' are virtually the same with, or similar to the acts previously held by the court as NOT constituting terrorism, as defined in Section 1 of the Terrorism (Prevention) Act. 1. That, pursuant to the powers and procedures of your office, you take prompt measures to issue an Advisory Opinion invalidating the said Declaration. 2. That, upon the issuance of the said Advisory Opinion, you take prompt measures to cause publication of same in the official Gazette of the Government of the Federation and in at least 2 Nigerian newspapers of national circulation. While we anticipate an expeditious disposition of this Petition by your office, please be assured of our highest esteem for your person and the office of the Attorney-General of the Federation.